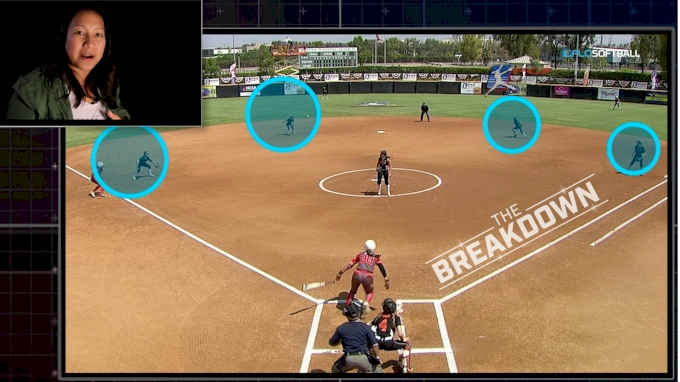 Championship games can be close and it comes down the decisions we make on the bases, on defense, and at the plate. I've always appreciated coaches taking an aggressive approach to baserunning versus a cautious approach. You learn so many things from a ground ball go approach on third base. What is the ground ball go approach? This approach is typically implemented with your faster runners. The third base runner simply runs when there's a downward flight of the ball off the bat except when the ball is hit back to the pitcher. If the third base runner is a dead out, you advise them to get in a rundown to advance the hitter now baserunner to second base. What are the benefits to this approach with youth athletes? It eliminates decision making. Instead of should I or shouldn't I go, you give the runner a visual cue on when to go. Youth players begin to understand when they can and can't score. Slow rollers score the runners. Sharp one-hop ground balls right at the defender end in an out. This puts pressure on the defense to do everything perfectly. They will be great at rundowns. Will you get thrown out sometimes? You have to drill this approach and you as a coach will begin to understand the makeup of your baserunners.